To celebrate National Non Fiction month this November BookTrust, the UK’s largest children's reading charity, has selected 12 brilliant non fiction books from its new Great Books Guide to help parents and carers get their children reading. 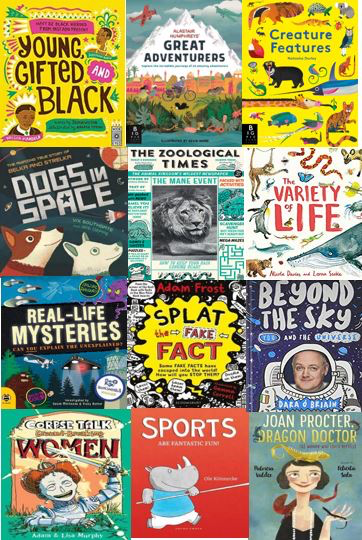 These engaging non fiction books approach subjects like nature, science and history in a variety of interesting ways and are suitable for children aged 4-11. Non fiction books are an excellent tool to help children understand the world around them and can often help reluctant readers turn pages. We spoke to Dara O Briain, author of Beyond The Sky, about why he thinks non fiction is so important: “The thing about non fiction is that it’s about specialising and kids finding their passions. Start general, and then begin to find the things that children are really captivated by. Then you can burrow down and dive a little deeper. The Square Camberley is proud to be supporting ‘Purple Tuesday’, the UK’s first ever-accessible shopping day. Backed by the government, Purple Tuesday takes place on 13th November with the aim to get retailers to take all kinds of disability seriously. In supporting Purple Tuesday, The Square has updated their disabled toilet sign to a “Grace’s sign”, a unique and thoughtful toilet sign which asks people to recognise that not all disabilities are visible. Grace Warnock aged 12, has Crohn’s disease - an inflammatory bowel disease you can’t see from the outside. 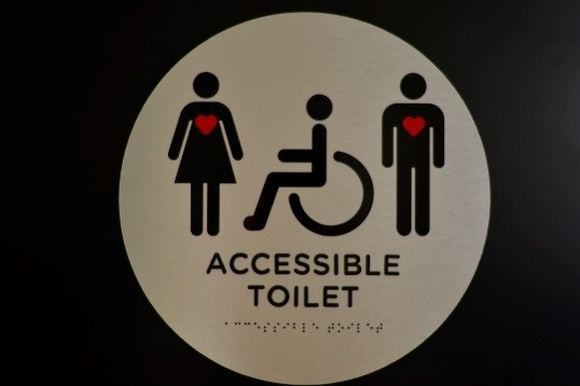 After facing continuous criticism for using disabled toilets, at age 10 Grace created “Grace’s sign”, a bathroom sign that includes both a person in a wheelchair and a standing person with a heart, symbolizing people with invisible conditions. The Square has been highlighting the initiatives of Purple Tuesday among its retailers, alongside suggesting new measures stores can make to ensure shopping experiences are more inclusive for customers who have both physical and hidden disabilities. The Square provides free wheelchairs for customers and on Purple Tuesday will have two dedicated staff to assist shoppers all day. Purple Tuesday is being held in November ahead of the Christmas shopping period when busy stores, overloaded with stock can make shopping particularly difficult for those with disabilities. Network Rail has teamed up with the world’s most famous blue engine and pre-schooler favourite, Thomas the Tank EngineTM, to help children learn how to be safe when using the railway. 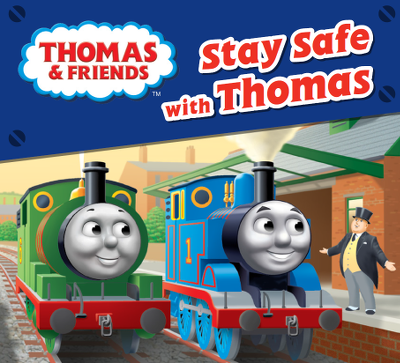 The Stay Safe with Thomas story book sees the mischievous Thomas having fun on the railway over being safe, putting both himself and his friends in harm’s way. He learns valuable lessons on the dangers of not stopping at a level crossing when the red light shows, leaving gates open to allow animals on to the tracks and when people stand too close to the edge of a platform. Network Rail, along with British Transport Police, hopes the story book will encourage parents to discuss rail safety with their young children, in the same manner that they teach them about other dangers they may encounter when out and about. The launch of the story book comes off the back of the ‘You vs Train’1 campaign, ran by the rail industry and the British Transport Police (BTP), which targeted older children and teenagers to warn them of the dangers of the railway and that it isn’t a playground. In the last five years, the number of young people taking risks on the railway has gone up by almost 80 per cent2. Network Rail and the British Transport Police (BTP) are distributing copies of the book to local libraries, nurseries and doctors’ surgeries across the country. A free, electronic version of the book will be available to download from 16 October 2018. Join us on Thursday 15 November when everywhere you go in the High Street will be filled with Christmas entertainment for all the family from 12noon until late at the annual Christmas Lights Switch-on event from Guildford Borough Council and Experience Guildford, supported by 96.4 Eagle Radio. The lights are switched on at 7pm followed by a grand firework finale kindly sponsored by White Lion Walk. We have all of your favourites including Santa’s reindeer and unicorns, live music playing all afternoon at the Experience Guildford stage and Guildford Fringe Buskers Corner and don’t miss the mascot parade. The Guildhall balcony show begins at 6pm, hosted by Eagle Radio’s Peter Gordon. He will be joined by local sports stars and the cast of the Yvonne Arnaud pantomime including actress and singer Michelle Gayle. The Balcony Show will also be broadcast to two big screens, opposite Marks and Spencer and above the Experience Guildford Stage, so even more people can get a really good view. 7.15 pm There will be choirs performing at Guildford Fringe Buskers Corner, Tunsgate Quarter Shopping Centre, Tunsgate Road, Market Street and on The Rotunda. (All information correct at time of issue and is subject to change). Walking, cycling or scooting to school is great for you and your child’s health and wellbeing. It reduces their exposure to exhaust fumes and improves air quality. Road traffic is the main source of air pollution in Surrey. This pollution can affect children’s lung-growth, increase symptoms in those with asthma and contribute to chronic illnesses later in life – nothing we’d want them to be burdened with. So it’s really worth considering how else you could get to school each day and leave the car at home if you can. But if driving is the only way you can get the children to school on time, there are a few small changes you could make to help improve the air children breathe. It may be easier than you think. Park a little further away and walk the rest– areas further away from the school may be quieter so it could be easier and quicker to find a parking space. Turn the engine off while you wait– you’ll reduce how much fuel you use so may save money too. Surrey County Council is working with the Surrey Air Alliance, a partnership with district and boroughs to address local air quality issues.